Practical Horsemanship is a collaboration between Dan Wilson and Grant Bazin, who have been involved with horses their whole lives. The methods they use are those of non-violence, predominently based on the work of legendary American Horse Trainer Monty Roberts, who Dan and Grant worked closely with for many years. Useing their own twist on the methods Monty Roberts pioneered,Dan and Grant help people and horses all over the world,on a day to day basis. Grant Bazin and Dan Wilson are dedicated to providing an excellent service, whether you are a one horse owner looking for practical help with your horse or a large yard owner or show organiser looking for a demonstration or clinic. 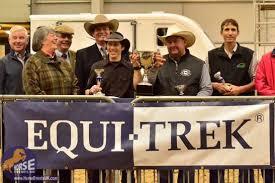 Grant and Dan were the winners of the first ever UK horseman's challenge.